It is worth looking at the winners of the last eight runnings and seven of them have returned at less than 7/2 and six favourites have won. Saxon Warrior and The Pentagon, who head the betting market for the 2018 Derby, are likely runners in the Racing Post Trophy. Victory in the race would lift the Ballydoyle trainer above the late Bobby Frankel’s record for number of Group One wins in a year. O'Brien drew level on 25 at Ascot on Saturday when Hydrangea won the Champion Fillies & Mares Stakes. 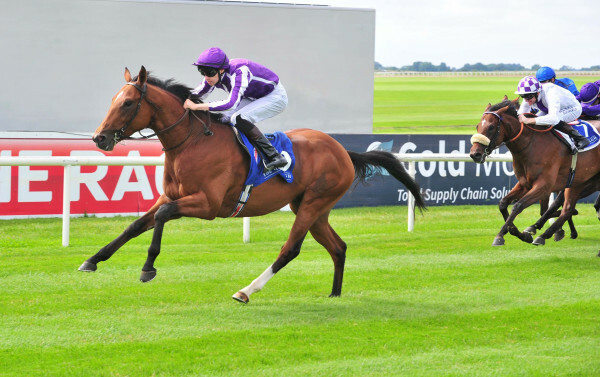 In August the trainer told us: "Saxon Warrior looks a very smart colt. He was just ready to come racing and when Donnacha pulled him out he said he took off, he really quickened and was very impressive. He's a big powerful horse. The dam was very good." and then in September he said: "We were a bit worried about the ground and Ryan confirmed that it wasn't ideal for Saxon Warrior but he was impressed with him and said he travelled strongly and quickened well. He said he has plenty of pace. He's a Classic horse for next year. He doesn't have to have another run this season." Both wins for this January foaled Deep Impact colt came on yielding and soft ground and he is currently on offer at 9/4 generally. Doncaster Racecourse was redeveloped in 2005, however the racing surface remains virtually the same. It is a large pear shaped course of nearly two miles with a long four and a half furlong straight. There is a perfectly straight mile on which a lot of the races are run. The course is very flat and is probably one of the fairest in the country. It definitely suits a horse that can gallop.